Top Bar will be displayed at the very top of the page. 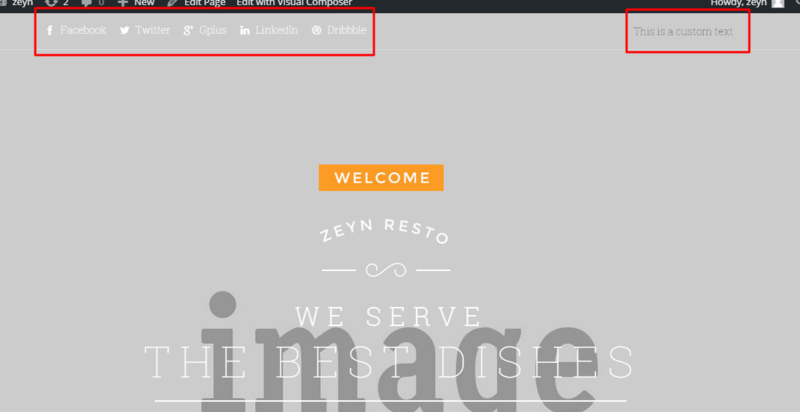 Top Bar is divided into 2 section contents i.e the left section content and the right section content. 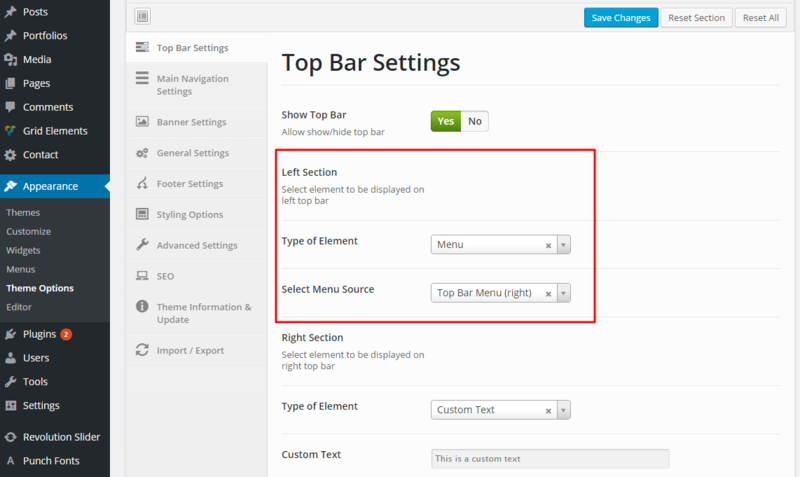 To set which top bar we want to use go to Appearance > Menus and then set the menu as you want. Click Save Menu when you finish. Then go to Appearance > Theme Options and navigate to Top Bar Settings. 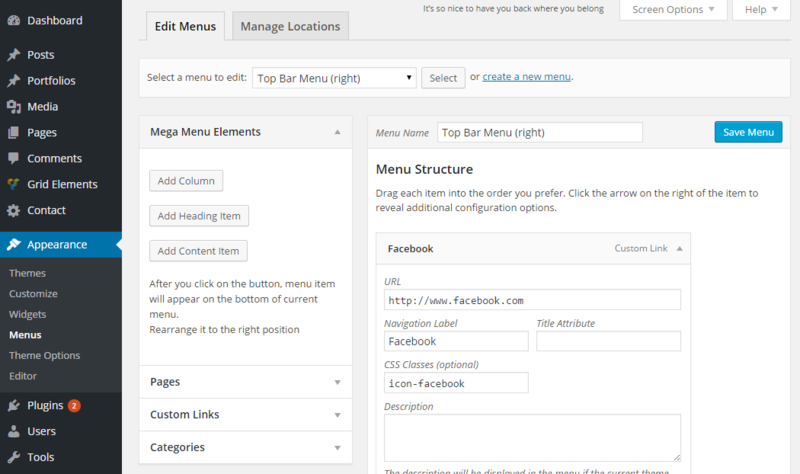 If you want to put your menu on the left side choose Menu on Type of Element and choose your menu on Select Menu Source in the Left Section, if you want to put your menu on the right, do it on the Right Section. if you want to put a custom text, choose Custom Text and write your text. For example we’re going to put a text on the right section of the top bar. Click Save Changes when you finish.